If you have old appliances, you might want to consider upgrading them. Even though they might still be working and functional, it might be cost beneficial to upgrade to new, more efficient replacements. 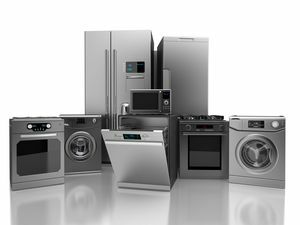 As appliances get on in years, they become dirty, inefficient, and are prone to constant, costly repairs. If you are looking to save time, money, and energy, then consider replacing the following appliances. Furnaces and water heaters have only become cleaner and more efficient over the years. An old water heater or furnace can cost you hundreds of wasted dollars in electricity every year. For older homes with older furnaces and heaters, it can be tricky to replace them. The longer it has been since the furnace or water heater was replaced the more work it could be. Air ducts, pipes, tubing, and insulation might all need replacing. Even though it seems like a lot of work and money, a new furnace or water heater can save you money over the life of the units. If you have a top-loading washing machine, you can save money and water by upgrading to a newer, front-loading machine. Front loading washers use approximately 50% less water and over 30% less energy. Dryers, on the other hand, have stayed mostly the same over the years. Consider replacing your dryer only if it is a constant repair nightmare. Cleaning and regular maintenance can keep your dryer working for years. Window and box air conditioners are huge consumers of energy, especially older units. As air conditioners get older, they become dirty and fill your home with dust, dirt, and other allergens that have built up inside the unit. New, modern air conditioners are more energy efficient. Replacing your old unit can save you money, make your home cooler, and blow cleaner air. For many older dishwasher models, they use considerably more water than newer, more efficient washers do. If you live in a part of the country where you have to be careful and monitor your water use, then upgrade might save you money in the end. If you have any of the above appliances and they happen to be on the older side, consider the benefits of upgrading and purchasing a new one. New appliances can save you money on energy bills, do their job cleaner, and do it quicker.